The Grammy award singer posted this photo of herself on her tumbir page. Still looking beautiful as always I should add. The mum-of-one can be seen wearing a colourful paisley print blouse and tight black leggings with a pair of very bright neon blue and yellow trainers. 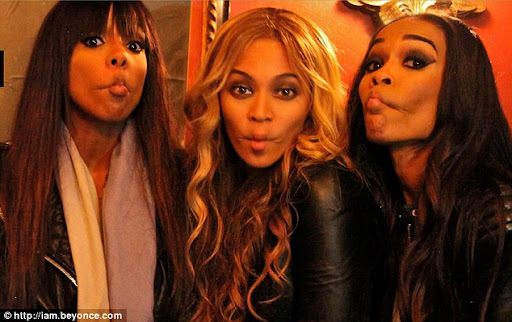 And here's another picture of her playing around with her friends and former bandmates, Kelly Rowland and Michelle Williams.